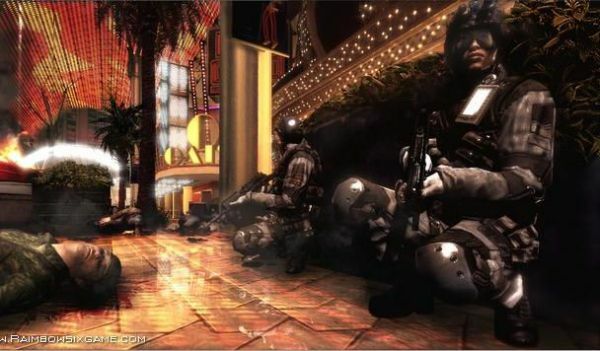 Believe it or not, Tom Clancy's Rainbow Six Vegas 2 is still a pretty popular game. It's actually very easy to find a game to jump into, more so a Terrorist Hunt than a versus match. It's no secret that I love this game. Really. The controls, the cover system, the weapons, and the character customization make this game one that I can play over and over again. I like it so much that I'm seriously scared that Ubisoft might screw up the next Rainbow Six game if they depart from it so much. So you can imagine my relief that there are still a lot of people playing. 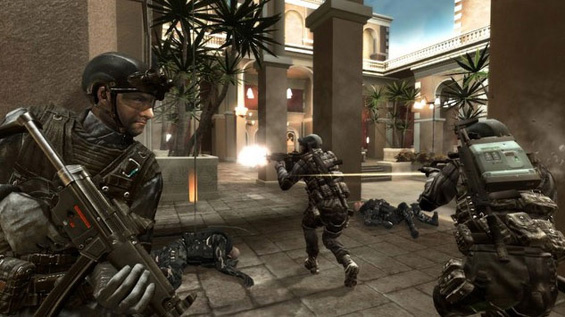 In fact, I was invited to a party of online buddies that wanted to romp through a few levels on Realistic difficulty. I was all too happy to oblige, finding that despite my meager ranking, I was still zealous enough to make the high marks in most of the rounds. Jumping into our Live Party, Co-Optimus regulars Mrxknown_JG and justabaldguy struck a conversation about the 1 vs 100 beta test starting that evening; that didn't help my performance very much. Three people talking one thing while three others are trying to coordinate against pretty darn smart AI terrorists does not mesh. Eventually, they departed, but by that time the damage was done -- my groove was off. Thanks, guys. After a couple of unsuccessful attempts at clearing the Killhouse, we swapped a member of our game and party, to some degree of improvement. In fact, we ended up with a 3-to-1 veteran-to-noob ratio, and it paid off after a while. I had more fun than I thought I would, favored game notwithstanding. I can always enjoy a good shooter with perfect pacing...but playing with good friends and new acquaintances is so much better. Now you know why we do this -- co-op just makes everything extra cool. It is a crime -- an absolute crime -- that this team opted to forgo the pink camo.